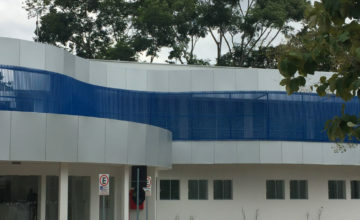 The Rodolphe Mérieux Laboratory of Port-au-Prince, a member of the GABRIEL network, is the only BSL3 laboratory operating in Haiti. It is directed by Jean-William Pape and is located at the Institute of Infectious Diseases and Reproductive Health. Over half of the country’s routine samples are sent to the lab for tuberculosis diagnosis, and each day many patients come for medical consultations. 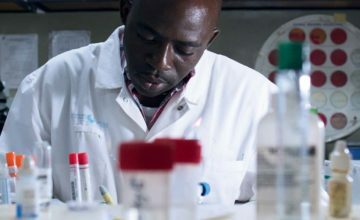 The Haitian population is especially hard hit by a number of infectious diseases and the Rodolphe Mérieux Laboratory contributes to improving care to meet their needs. It serves as the reference laboratory for HIV/AIDS, sexually transmitted diseases (STDs), diarrheal diseases, and mycobacterial infections. 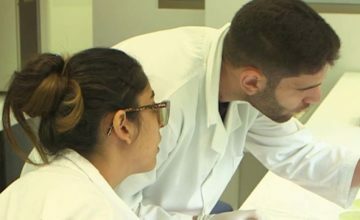 The laboratory performs routine diagnostic testing, including basic chemistries, liver function tests, serological testing for HIV, syphilis, and hepatitis, smears and cultures testing for mycobacteria, etc. The Rodolphe Mérieux Laboratory can also perform quantitative assays, for example, HIV viral load assays. The laboratory provides diagnostic testing for multidrug-resistant tuberculosis, cholera, and HIV, and is working on the diagnosis of Zika virus. The laboratory’s research platform made it possible to set up the first molecular diagnostic testing and monitoring of clinical trials for the implementation and follow-up of antiretroviral therapy and early prevention of mother-to-child HIV transmission. 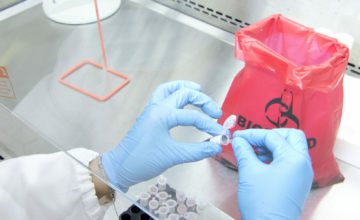 The laboratory also took part in evaluating the rapid HIV and syphilis test to improve patients’ access to diagnostics, especially in areas where facilities and qualified personnel are lacking. 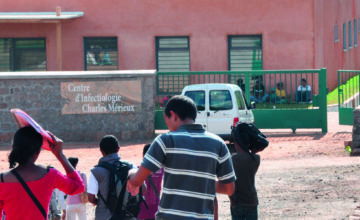 The Rodolphe Mérieux Laboratory is helping pave the way for new diagnostic and monitoring technologies for patients receiving antiretroviral treatment, which enhances the site’s capacity to support other research protocols. The transfer of laboratory protocols and tools. The Rodolphe Mérieux Laboratory comprises a BSL3 laboratory platform with 3 BSL3 boxes and a BSL2 laboratory. It was designed to meet the specifications of the ISO 14644 standard, parts 1 and 4 (“Cleanrooms and Associated Controlled Environments”). The lab is part of the Quality Initiative overseen by the Mérieux Foundation with the aim of satisfying ISO 15189 requirements. 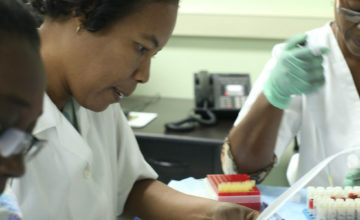 Training programs focus on fostering skills and providing technical assistance for young graduates of medical technology programs and technicians working for public health services, in connection with the BAMS Haiti degree program (Bachelor of Science in Biological and Applied Medical Sciences) set up by the Mérieux Foundation. 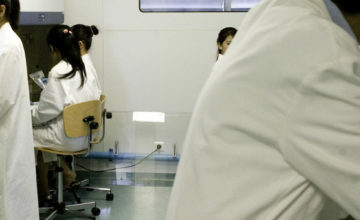 Internships and workshops are offered to medical laboratory technicians working for the network of public and private health laboratories. 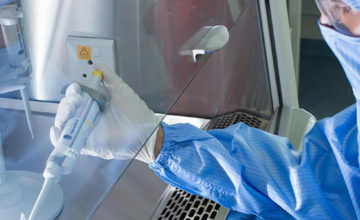 The laboratory’s scientists also receive quality assurance training.